A native Hawaiian in his natural habitat. 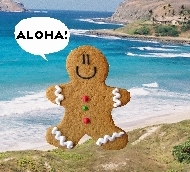 Hawaiians are small gingerbread men made from molten lava and pineapple and baked to a delicate crunch. This recipe was created by Martha Stewart with the assistance of Dan Aykroyd's mother. Hawaiians enjoy singing and dancing. Their native dance, the hula dance, is often performed by females wearing hula hoop skirts, which were originally invented by Scarlett O'Hara, founder of the O'Hara airport in Atlantis. Hawaiians are native to Hawaii. They own a huge volcano, which they use for procreative purposes during the annual bakeoff, where they feed virgin pineapples to it, in hopes that it will erupt, producing more of these crispy critters known as Hawaiians. Most Hawaiians are part of the PGA (Pineapple Growers Association). The islands are known for their delicious pineapple producers. The growing season is all seven months of the Hawaiian year. Many famous PGA competitors include Larry Rivera, Jack Nicholson, and Ghandi. The go their annually to grow their pineapples. Hawaiian men all own big canoes. Females are not allowed to ride in those as the hula hoop skirts tend to cause then to overturn, which is considered a moving violation by the HIPS (Hawaiian Idiot Patrol Squid). The squid are ruthless. They have been known to write tickets at a moment's notice and seemingly never run out of ink. 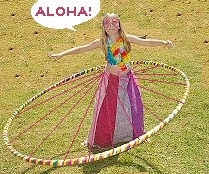 Native Hawaiians love hula hoop skirts. Recently the squid broke up the Sugar Cane Cult -- a group of ruthless Hawaiians who are upset because they were overcooked. The group of "crusty gingerbread men" is responsible for many homosexual movies, including Grease, Brokeback Mountain, and the Richard Simmons Workout series. The HIPS have been after this organization for many years. They were caught while viewing the spaceship Arizona; they tried to hi-jack the ship, but then they realised that gingerbread people don't have hands. The ship was wrecked next to the HIPS headquarters. As punishment for their heinous crimes, they were sodomized by all eight of a giant squid's tentacles. Hawaiians are also well known for attempting to take over New Zealand, which caused the kiwis to become addicted to that meaty treat known as Spam. They succeeded, and now Hawaii owns New Zealand the Spam market convincing them to set up an "Area 51" at 666 South Road, Auckland. No one knows when the reign of terror will end, but this is even more horrific than the Fire Brigade Attack of 1791 that took place at Waikiki, Hawaii. invasion of Pearl Harbor by the British.